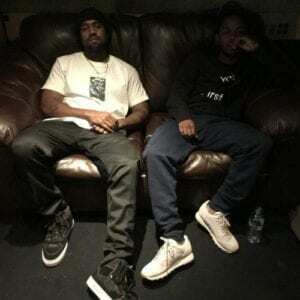 Kanye West Don’t Jump; Two more collaborations between Kanye West and Kendrick Lamar have hit the internet. The first one, ‘Don’t Jump’ has a dark instrumental and has K.Dot delivering fiery raps on it. By the sound of it, one can guess that it’s the same instrumental that was played before the stream at the theater screenings of Yeezy Season 2 showcase.